Last week, in a complete reversal of fortune, Phil Ivey wins approximately $900,000 on Full Tilt Poker. Most top pros have reported at least one or two major downswings in their careers, but the true legends of the game always find a way to turn a long-term profit. Such is the case for Phil Ivey, who after losing over $3 million dollars online this year, is in the midst of a startling comeback. At least for one week, Ivey proved that he is still a force to be reckoned with, both on the green felt and from behind a computer. 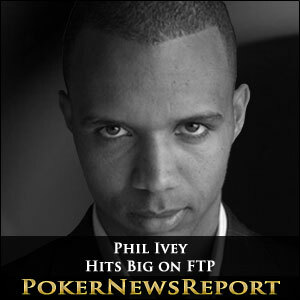 Last week, Phil Ivey won nearly a million dollars playing nosebleed stakes on the site he used to represent – Full Tilt Poker. And while Ivey’s “modest” win is paltry compared to the $19 million he won on the site during his five-year run as a spokesman, the victory sets him back on the right track. In his defense, Ivey has been distracted by legal issues. Earlier this year, he was accused of cheating by a U.K casino, Crockfords. 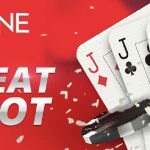 While Ivey admits that he could identify certain cards due to a manufacturing flaw, he reasons that it was the casino’s responsibility to ensure that its playing cards could not be exploited. Ivey amassed over $12 million in winnings, but was refused payment beyond his initial buy-in by the casino. In other news, Viktor Blom also appears to be on the up-and-up after winning a couple hundred thousand. Blom, who was once up nearly $5 million for the year proceeded to play his usual swingy style, and to date is only up half-a-million. Blom’s win at $400/$800 was relatively small by his otherworldly standards, but at the very least it ended his rather epic downward spiral. Gus Hansen is probably wishing it was still 2003. He’s down over $4.2 million online for the year, followed somewhat closely by “MalACEasia” (-$3.77 million). The year’s biggest winner is still “cottonseed1” ($3.54 million).